One of the criticisms of the event industry is the tendency to create waste. As a result, The Waste Trade Company partnered with Mpact Recycling (Pty) Ltd to ensure that different waste streams from the ABSA Kirkwood Wildsfees were managed responsibly. Effective branding, promotional activities and the provision of resources are key ingredients to the successful greening of an event. "Strategic planning and effective communication are of utmost importance when managing the waste streams of an event that caters for over 45000 Wildsfees goers" says Kay Hardy, General Manager of The Waste Trade Company. 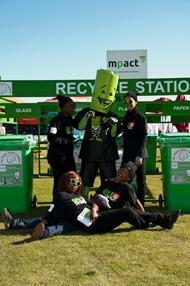 Brightly branded recycling stations were placed in high traffic areas all around the Wildsfees grounds in Kirkwood. Organic waste bins, as well as grey water and used oil bins were also provided. Stall holders were advised of the available facilities before the start of the festivities. Donna-Mari Noble, Communications Manager, Mpact Recycling , was pleased to see that the public were making use of the recycling stations, "the ultimate goal is to create an appetite for change and, by consistently reminding the public of the importance of recycling, we can do just that". Green Ambassadors from the local St Colmcille High acted as promotional staff for the duration of the festival. They were highly visible in their "wild@heart" t-shirts, handing out brochures, educating the public and escorting Ronnie Recycler around the festival grounds whilst entertaining the festival goers. Whilst still experiencing some initial resistance towards efforts to create a less wasteful event, the public, as well as the stallholders, were showcasing more of an interest in going green. Hopefully the trend toward more earth-friendly events will encourage all to become not only "wild at heart", but environmentalists at heart. 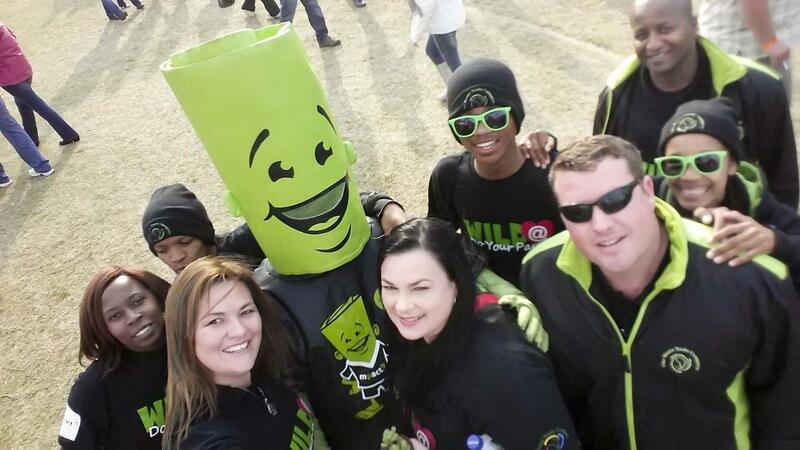 "This year, the Wildsfees produced just over 8000kg of recyclables. Although there has been a positive swing in the change of mindset amongst consumers, there is still much work to be done in terms of getting consumers to separate at source. We look forward to the day that festival goers are recycling to their full potential", says Kay Hardy.